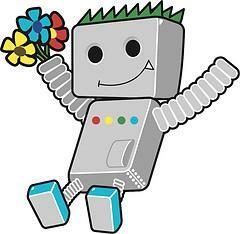 I learned a couple things last night from the Your Toughest Technical SEO Questions Answered session at SMX West. A lot of people use the rel=canonical tag for paginated results on their site, but they may be doing it the wrong way. A WebmasterWorld thread has one example of such use. For example, you have a category landing page with ten results per page, and let's say five pages for pagination. So you have a total of 50 listings cut up against five pages. Some webmasters may decide to use the canonical tag to communicate to Google to redirect pages 2, 3, 4, and 5 to page 1. But technically, as per Maile from Google in the panel last night, that is wrong and should not be done. Maile explained that since the results on pages 2, 3, 4, and 5 are different from page 1, you should not use the canonical tag here. Not only that, if you do, Google may ignore it because Google uses methods to determine if the canonical tag command is actually something valid for that case. So if you canonical page 2 to page 1 and page 2 is not similar enough to page 1, Google may ignore your canonical tag. So what do you do? I suspect you create a "view all" page and have all pages, page 1, 2, 3, 4 and 5 canonical to the "view all" page. I know that might not be feasible for many sites and in that case, you need to think at a higher level. In any event, I know many sites and webmasters who have it set up the "wrong way" and I am not sure how it may hurt them.